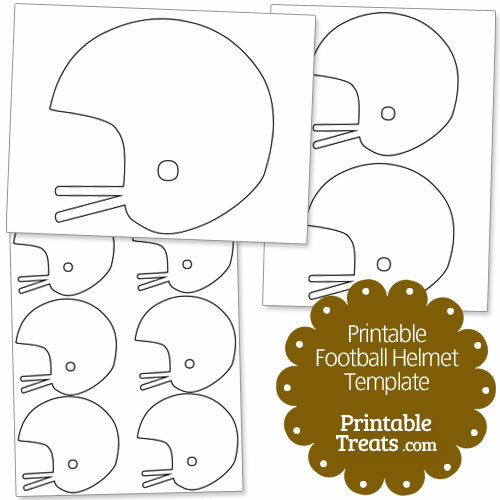 Here is a really cute printable football helmet template you can use to cheer your favorite team on come Fall. This printable football helmet template is great for creating team posters and player posters for your child’s local school and community football games. A page with one large helmet shape. A page with two medium-sized helmet shapes. A page with six smaller football helmet shapes. If you would like to share the helmet outlines with a friend, please send them directly to this page (Do not link directly to the download file.) so that they can download a copy for themselves.